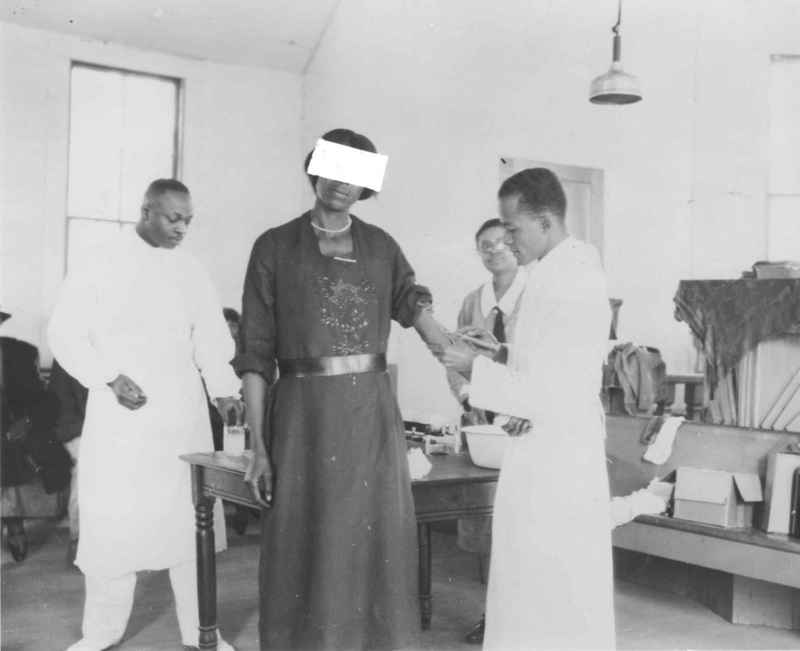 The USPHS planned for a six month study, to record observations "on a group of 400 syphilitic male Negroes who have received no treatment and a comparable group who have received adequate therapy" ("Annual Report of the Surgeon General" 1938). 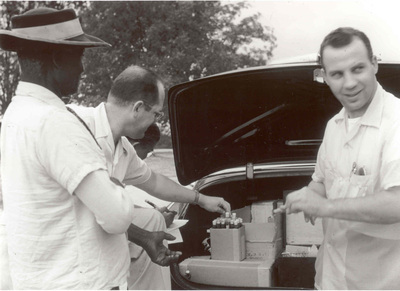 At this time, legal codes for human experimentation were nonexistent. Regardless, the doctors knowingly made morally irresponsible decisions. Were there prior bioethics laws put in place prior to Tuskegee? No, not really – not in the sense of formal codes. But what about the Golden Rule – do unto others as you would do unto yourself? What about the Hippocratic Oath? So no, in terms of formal laws, but in terms of the doctor-patient relationship they knew they were intentionally harming [the patients]. 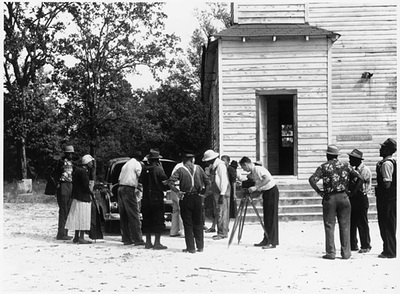 In September 1932, Clark sent Dr. Raymond H. Vonderlehr to recruit participants. 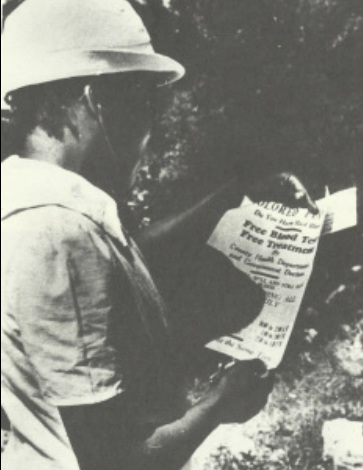 Assisted by USPHS personnel, Vonderlehr advertised the study at local community venues. To test for syphilis, doctors drew blood samples from prospective participants. Clip from the documentary "Deadly Deception"
To abide by guidelines set by Alabama officials, Vonderlehr offered mercury ointment and neoarsphenamine in meager doses to interested participants. The free treatment appealed to sharecroppers, who understood the term “bad blood,” but not syphilis. "They simply do not like spinal punctures. A few of those who were tapped are enthusiastic over the results but to most, the suggestion causes violent shaking of the head, others claim they were robbed of their procreative powers (regardless of the fact that I claim it stimulates them)"